Exploration no. 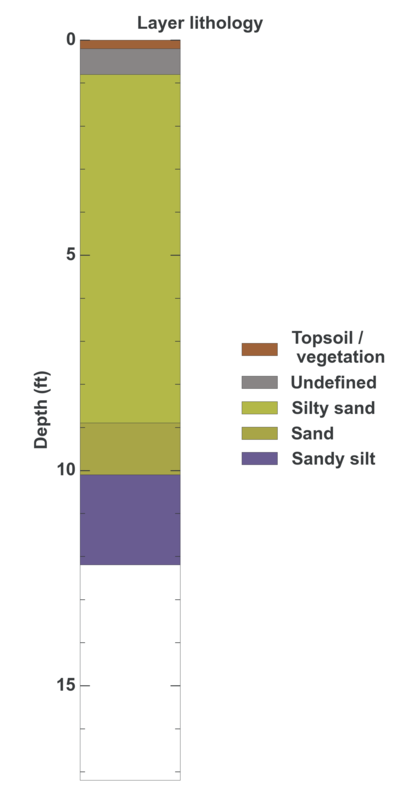 62551 is a Test pit (depth 12.2 feet) named: TP-102 described in subsurface document no. 11332. The document, a report titled Short-Term leachate Storage Facilities, Vashon Island Landfill was prepared by CH2M Hill on 09-30-1995 for a Landfill project.